BRIGHTON BEACH, Brooklyn (WABC) -- Three pedestrians were struck, one fatally, when an elderly driver jumped the curb and backed into them in Brooklyn Monday. The incident happened just after noon at Brighton Avenue and Brighton 7th Street in Brighton Beach. Authorities say the 85-year-old driver lost control while backing into a parking spot after stepping on the gas instead of the brakes. His vehicle jumped the curb and struck the three victims. 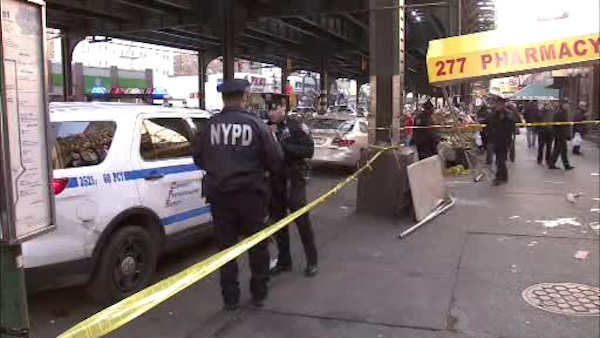 A 67-year-old woman was rushed to Coney Island Hospital, where she was pronounced dead. The other two were listed in stable condition. The accident is under investigation, but no charges were immediately filed.